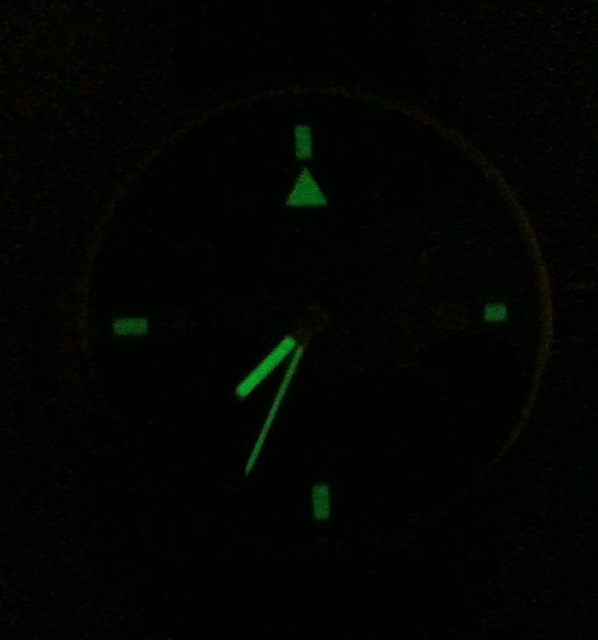 This time it is the turn of the IWC. This is the IWC Mk XV Spitfire Limited Edition from 2001/ 2002. I like the Cathedral hands and the fact that the sweep seconds hand has luminous material at the tip. Also like the luminous Arabic hour marker. It is very different from the standard Mk XV. The standard Mk XV. Only the hour and minute hands are luminous. As for the dial, only the 12, 3, 6 and 9 hour markers are luminous. 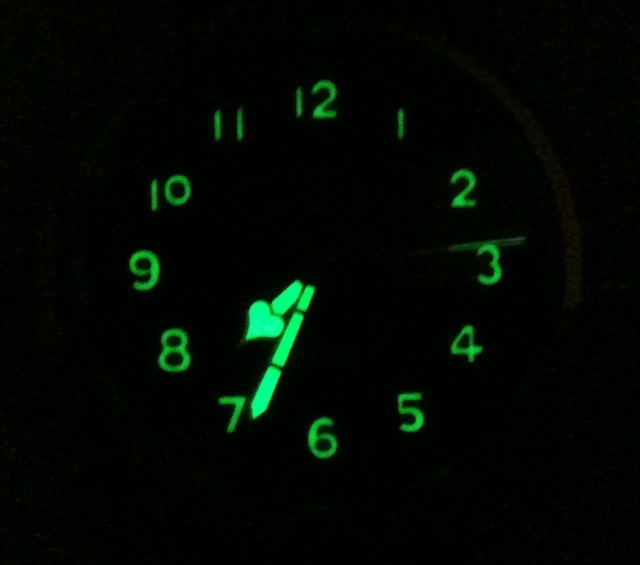 The 12 o'clock position is marked by the luminous triangle, a standard feature in most pilot watches.